Well, I received the recovery thumb drive from HP. I managed to boot the drive okay. But only got 20% into the recovery before the process came to a halt with a fatal error. Called HP support. Support guy said would have to ship the laptop to repair center for repair. Estimated cost was going to be about $400. My guess that it’s the hard drive. I told him I would get back to him on repair. I figured that for not much more than $400 I could get a new laptop that was better, faster, cheaper. (Well, maybe not cheaper). Looked at Mac’s but would cost at least double what a comparable Windows laptop would cost. Ships tomorrow. I’ll post pictures when I receive it. A couple of days ago, i posted on Facebook about the annoyance of getting game notifications. I like FB. It allows me to keep up with news from my friends around the country that i would not be able to do otherwise. But the constant game notifications is just plain annoying. I am happy that my many friends enjoy FB games. But as I stated before, I could care less about your latest exploits on Farmville or Candy Crush Saga. I don’t think that you can disable all of the notifications, but you can get rid of them. Here’s how. 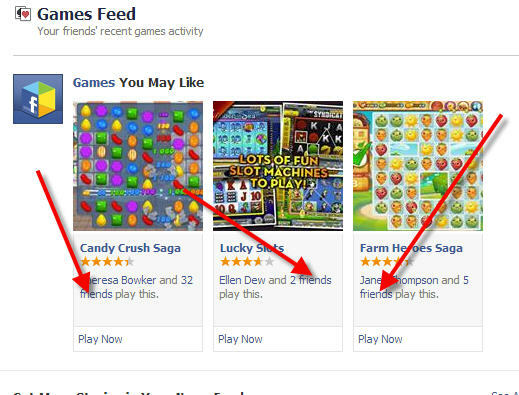 Then click the “friends” button under one of the games. It doesn’t matter which game. And you may have to do this more than once. 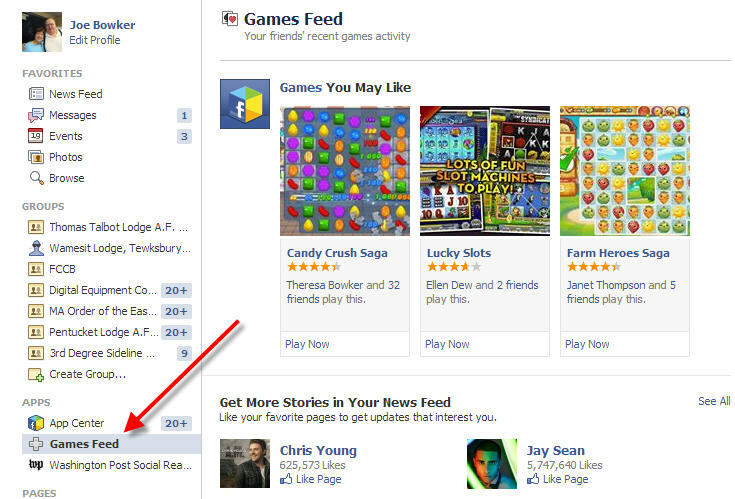 This will give you a list of your FB friends who have played that particular game. Mouse over the “Friends” button. Then you should see a list of menu choices. I wasn’t able to get a screen shot, because my screen grab app can’t get a mouse over image. So you’re going need to follow along with the steps. Unclick the “Games” item. 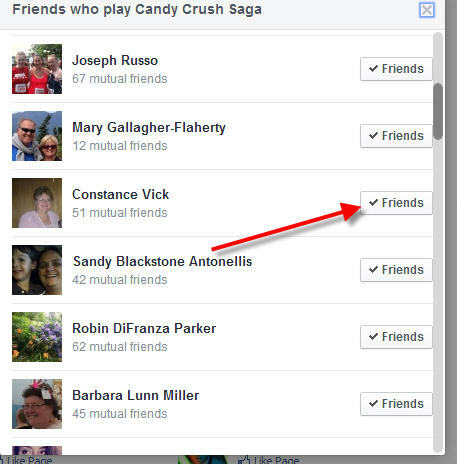 Repeat the process on each FB friend listed in each game. This will eliminate most of the Game noise, but probably not all. It may take a while to get all of the game notifications. But sometimes you just have to do the unfriend thing. I try to judge the signal to noise ratio (or in some cases, the noise to signal ratio). You just have to judge if it is worth keeping a FB friend. You might say what the heck is a VPN? VPN stands for Virtual Private Network. VPN’s were originally developed to allow internet users access to the web from behind corporate firewalls. It was also used to allow home users access to corporate networks that were hidden by firewalls. Here is a much more detailed explanation of VPN’s on Wikipedia. Okay, all well and good. Now VPN’s are used for several other purposes. Here’s a list. (by no means exhaustive). Security on public networks. If you use public internet access, say at your local Starbuck’s or local library, you are using a public internet. This means that other people with some clever tools can listen into what you are doing. The can see what sites you are visiting. They sometimes see the data you are transmitting. Using a VPN on public internet is a very good practice. Access to sites that are blocked. Some sites are blocked. Sometimes by governments (eg. China, Middle East), sometimes by corporations, and sometimes by ISP’s. So there are private VPN’s operated by corporate IT departments and there are VPN’s that are public where you can purchase a license to use their service. I will be talking about the latter case, because that one is the most useful for the average user. I first started thinking about VPN’s recently when CBS and Time Warner Cable (TWC) started a very public fight. The fight is over fees that CBS wants TWC to pay for the right to provide CBS to TWC’s customers. TWC customers could no longer watch CBS shows on their TV service. TWC also blocked access to CBS web sites on their internet service. I can’t do anything to fix the former problem (unless I buy an antenna or switch providers). But I can do something about the internet service. I could of course switch TV and network providers, but that is a giant PITA. The solution is to install a VPN on my laptop. There are several providers available. Most of the providers try a free “try before you buy” license, typically good for a few days. 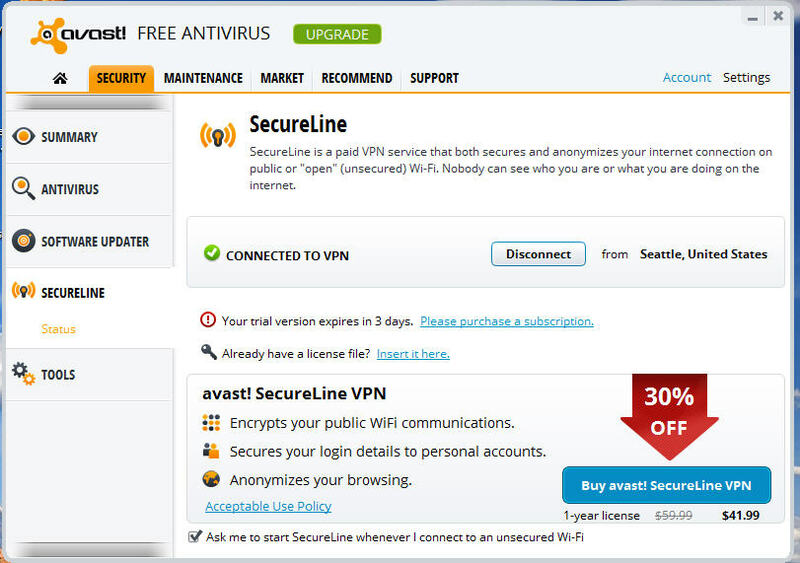 Currently, I am trying out “Avast Secure Line”, Seems to work. I can view the CBS sites. I need to try on MLBTV by attempting to watch games that are typically blacked out. It has free three day license. Then $42 for a year. iOS solution is a bit different. There are several iOS apps available. Search the App Store for “VPN”. Installation seems to be straight forward. The apps tend to be free. They typically limit initial free bandwidth to 300mb. So you get to try before you buy. After that you have to do in-app purchase to buy bandwidth. The privacy needs for my iPAD and iPhone are more important than my PC. I don’t take my laptop travelling very much. Most of the time it is plugged in to my home wifi. Here’s the link to the app store entry for “VPN Express“. There are other VPN apps. Try them and see what works. So my recommendation, get a VPN. Remember that freedom isn’t free, and neither is security. There is way too much snooping going on, Both by the government(s) and others. This is one additional way to keep people from snooping. Plus, now I can watch “David Letterman” and “Big Bang Theory”. VPN’s won’t prevent mail providers like Google or Yahoo giving the NSA the admin passwords to the mail servers. But it does plug an important hole in internet security. I still need to try the VPN apps with MLBTV games that are blacked out for being local. For me that would be LA Dodgers and LA Angels. Not a real big deal. I only care about them when they’re playing the Boston Red Sox. It’s about time for an update. Two weeks is too long between posts. Paula and Mary are off to church this morning. I am left behind to watch Boomba. We are dog sitting this weekend so that Mike, Theresa and Jonathan can have a weekend away. Now I remember why we don’t have a pet. Boomba is a good dog but… He is like an alarm clock that you can’t turn off. Last night we was awake at three AM. Whining. So somehow it was my turn to get up and get dressed and take him for a walk. Then he was back up at 0600. Now it was Paula’s turn. Mike & Theresa will be back this afternoon to pick him up. Well the new computer has arrived. Loaded all of my files from the old computer and shipped the old one to Neil. It’s taking me a while to get used to the new keyboard. Lots of typos. Windows 8 is taking some getting used to. Overall, I am pleased with the performance. We have been in Southern California for about four months now. Weather is beginning to turn cold and damp. I finally broke down and started putting on a coat. Temp is in the fifties. The weather guy on the news gives about 8 or 9 forecasts depending on our location. LA county is (geographically) huge. Probably bigger than the state of RI. Life with Mary K goes on. She has her good days and bad days. Her short term memory is getting very bad. I can tell her something one day and have to repeat again the next. Our tastes in TV tend to differ. She likes to watch Dr Phil and the local news while we like to watch Letterman, Jon Stewart, and Stephen Colbert. When she watches Dr Phil, I either go in the office and watch videos online or read. I don’t think she has figured out that I despise watching Dr Phil. In the reading department, I am reading the biography of Joseph P Kennedy by David Nasaw. Interesting stuff. Last Monday, we watched the NE Patriots play on Monday Night Football. Of course Mary K doesn’t like football, so she went in to her room and pouted for the rest of the evening. Sigh. It’s not like we watch football every weekend. This was the first football game we had watched all NFL season. She probably won’t be happy tonight. Patriots are on Sunday Night Football tonight. I expect that towards the end of the season we will see more Patriot’s games on national TV. We met with our new minister last week. He preached at last Sunday’s services. He also came to our weekly bible study meeting. Seems like a nice enough guy. His command of the Bible is impressive. (though I would certainly expect him to be.) The church was to vote on accepting him after the service. Mostly a done deal. He managed to remember everyone’s name around the table. He starts work on Feb 1. Finally, we got our Christmas letter written and mailed. Paula has a few letters that she will be adding personal notes. I will probably do a separate post on the Sandy Hook tragedy.